Redwork is believed to have originated in Europe in the early 1800s and traveled to America around 1850. The name Redwork is derived from the red cotton thread that was used to create this charming style of embroidery. The cotton processors in Turkey used a special dye process that made it colorfast. Redwork was also called Turkey Redwork. The availability of color fast red thread and inexpensive cotton fabric led to its popularity from the 1860s through the 1920s. 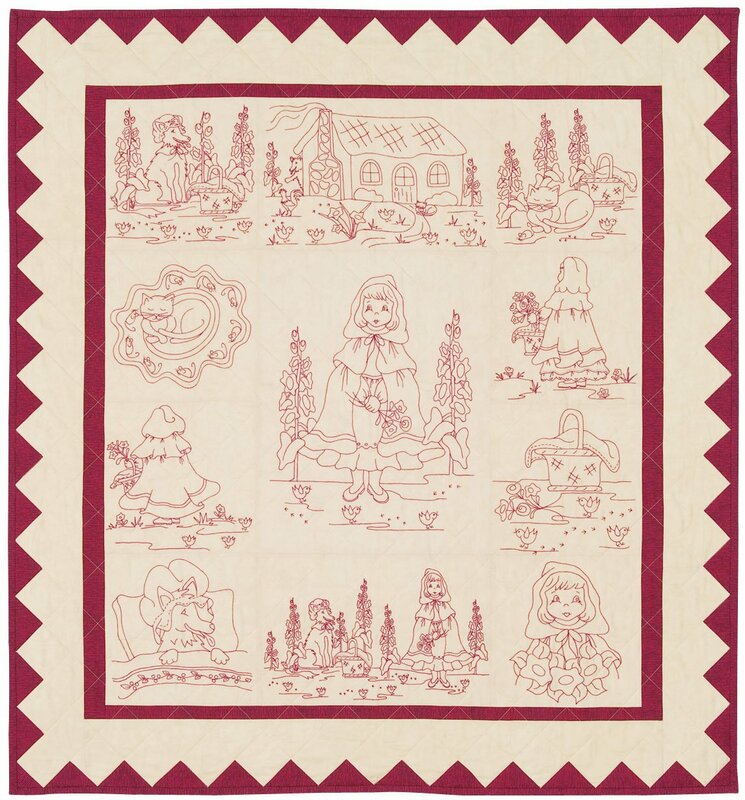 Redwork Riding Hood quilt is 52" x 56" finished Redwork embroidery quilt. Two 11" x 17" and eight 11" x 11" blocks surround the center 17" x 22" Red Riding Hood block. The border is finished with applique saw tooth border. The pattern has full size pattern drawings and easy to follow hand piecing and embroidery directions. Finished size 52" x 56".